Caitlyn Jenner rather conspicuously froze out stepdaughter Khloé Kardashian in an Instagram Stories post wishing the women in her family a Happy Mother's Day. Yikes. Could it just be an oversight? Maybe. But apparently, Jenner even included ex-wife Kris in the warm shoutout. Oops. Kardashian and Jenner have not spoken for two years (confirmed by Jenner), so it's not really a big shocker that Kardashian might not be at the top of Jenner's Mother's Day love list. And Kardashian also suggested that the birth of her daughter, True, wouldn't make a difference in her relationship with her once-stepparent. "No, I don’t think that affects anything with Caitlyn," she says in the video below from ITV's Lorraine. "[Things are] just as they are." Excuse me while I grab a sweater. Things just got chilly in here. Jenner was otherwise downright gushy in her Instagram Stories yesterday. “So blessed to have so many amazing moms in my life!” Jenner wrote, including photos of daughter Kylie with her baby, Stormi, and even a photo of herself affectionately hugging her ex-wife. It gets better (or worse, depending on which Kardashian-Jenner team you're on): Jenner also included a shot of herself with Kim Kardashian West and Saint — despite a yearlong cold spell in which Jenner and Kardashian West allegedly did not speak. Jenner also posted a warm throwback tribute to daughter Kylie when she gave birth to Stormi in February. Um, awkward. Nope, no favorites here. 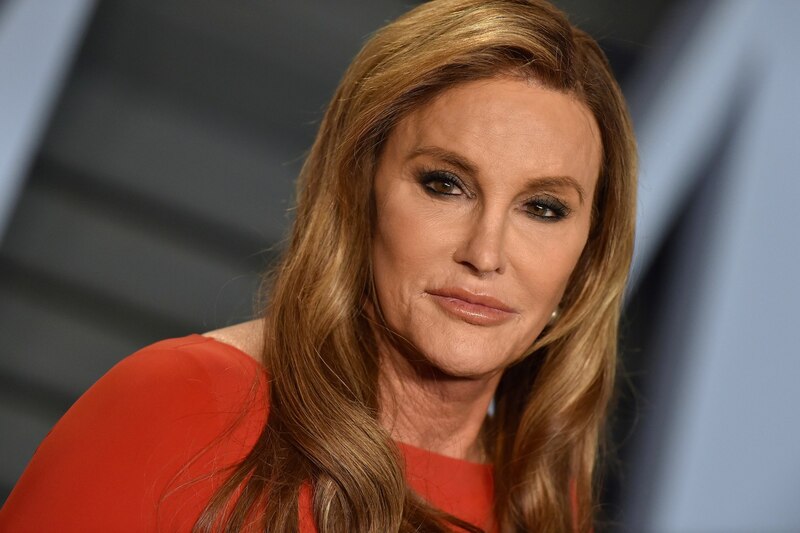 It's no secret that Jenner's connection to the Kardashian family has been, well, challenging since she came out as transgender in 2015. “I’ve lost all relationship with them, yes, I don’t talk to any of them anymore,” Jenner said in a notoriously fractious interview with Piers Morgan in 2017. This might have been a nice moment for Jenner to express even a little support for new mom Kardashian, who's currently trying to balance getting the hang of breastfeeding with dealing with the alleged infidelities of her baby's father, Tristan Thompson. It's been a brutal time for Kardashian, who (for now) remains in Cleveland, Ohio, far away from her famous family's support, according to a source. Thompson plays for the Cleveland Cavaliers. Can we all just play nice, Kardashian-Jenners? For the kids?